Supreme Court has stayed the Rajasthan High Court judgment banning ‘Santhara’, a ritual of fasting unto death, observed by followers of Jainism. A bench comprising Chief Justice H L Dattu and Justice Amitava Roy admitting the appeal said "Issue notice. Leave granted". The ruling of Rajasthan High court had come in a PIL filed by Nikhil Soni who had sought a declaration that the practice is illegal on the ground that it amounted to suicide, which is a criminal offence and is punishable under section 309 IPC. 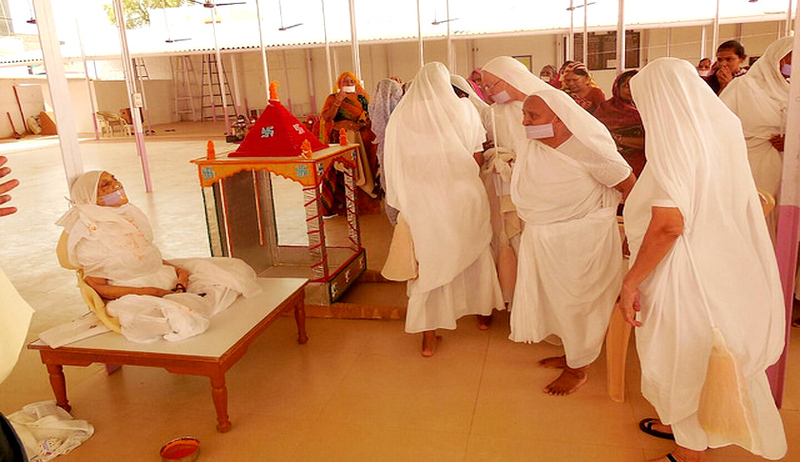 The court had remarked “It is not an essential part of the philosophy and approach of the Jain religion, nor has been practiced frequently to give up the body for salvation of soul.” The court had further directed the State authorities to stop the practice of ‘Santhara’ or ‘Sallekhana’ and to treat it as suicide punishable under section 309 of the Indian Penal Code and its abetment by persons under section 306 of the Indian Penal Code.